Photo ID=#1 of 33 - Click on photo to go to next one. 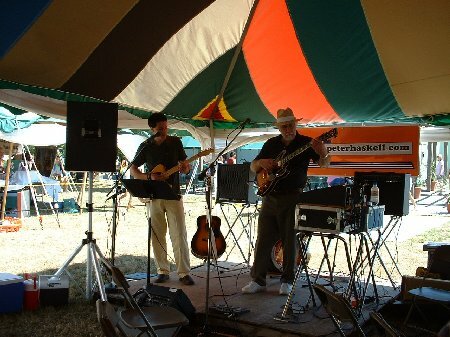 The following photos are of myself and my stepson, Jupiter, playing the gig at Fox Run Winery's annual Wine & Garlic Festival 2002. Click on the photos to navigate.